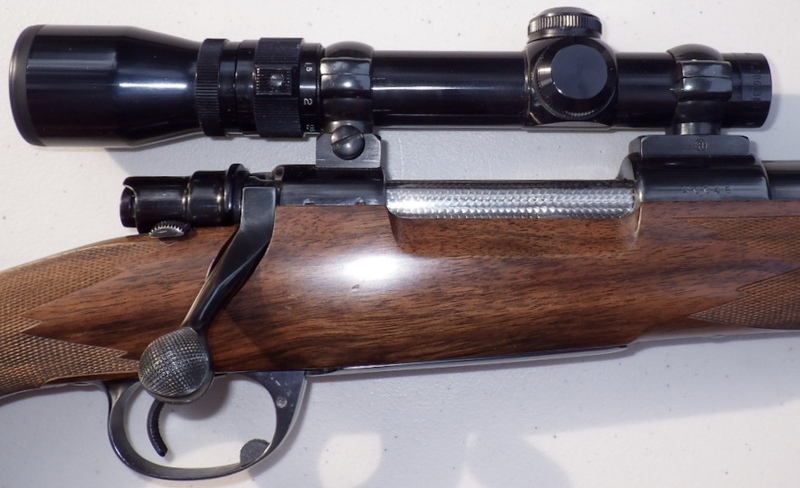 Jack O'Connor's .458 Winchester Magnum built by Al Biesen, FN Mauser action - Sportsman's Legacy, Fine firearms, related books and sporting collectibles. Representing estates, collectors and nonprofit conservation organizations. Jack O’Connor’s .458 Winchester Magnum built by Al Biesen. Ordered in preparation for an African safari in the late 1960s, O’Connor’s plans changed and he instead gave the rifle to his son, Brad. It was then sold in 1986 to the present consignor, who was quick to wring it out on Cape buffalo. Based on a commercial FN Mauser action and wearing a heavy plain barrel, it has near-perfect balance and is staggeringly accurate. DIMENSIONS: Weight is 11.2 pounds and length-of-pull is 13.5 inches. CONDITION: At least 98% overall with only minor indications of field use. INCLUSIONS: Winchester ammo – partial yellow box of 510-grain softs and partial yellow box of 500-grain FMC and some brass. Interestingly, one of these brass does not have a head stamp, marking it as very early Winchester prototype ammo. 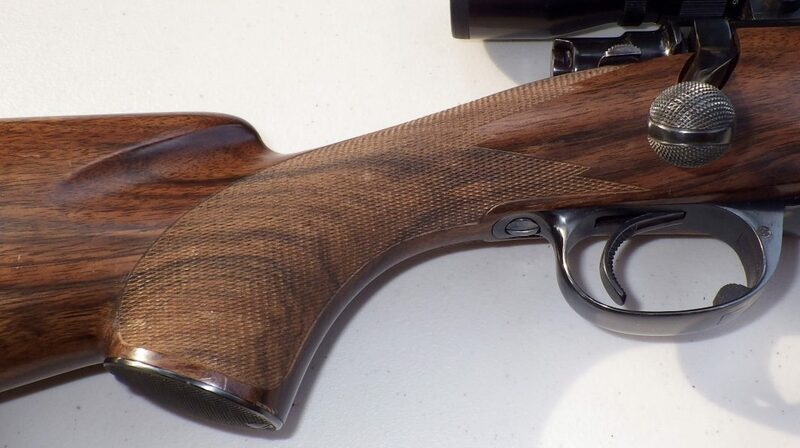 DOCUMENTATION: Letters from Brad O’Connor as well as the consignor, both addressed to the purchaser and detailing the complete history of the rifle.